The one penultimate event that defines what miracles are for Bergonians within their religious history is the Prophet Ierecina’s life-ending transformation and ascension. The one penultimate miracle within the bounds of Bergonian mythological time is the resurrection-transformation of the God Lacori after his brother-god Tanteli slew him in dishonest combat. To understand these miracles it would help first to acknowledge some fundamental assumptions in the classical Bergonian world-view. Joseph Campbell, Mercea Eliade and other mythologists have been quick to point out the underlying theme of rejuvenation in the tales of Ierecina and Lacori, and accordingly link Bergonian mythology to the mythologies of other (primarily Eurasian) cultures. But few Bergonian academics agree. Instead of the theme of rejuvenation (and the repetition and immortality it implies) the Bergonian sees a theme of transformation—a demise of one form when the essence manifests itself in another form and moves onward. This is the theme of the Ugly Ducking, the myth of the Butterfly, a theme that comports with the Bergonian view that time is an unfolding process, rather than the repetitive, cyclical process of archaic cultures of Eurasia and the Americas. The idea of rejuvenation means the return to youth, and is really nothing more than an imitation of the annual vegetative and agricultural cycle, which to the Bergonian is about as dynamic as a merry-go-round. The Bergonian doesn't want to return to youth, but to go on and become another, superior creature. The agricultural cycles that inform so much of what Eliade & Campbell turn out to be rather static and changeless, no less than the Ancient Greek ideal of the body. Even though Christianity was in essence a historical religion, where mythological themes play out in a historical drama involving all mankind, the ultimate ideal of Christianity is the ideal of eternity (filled with endless light and space, observed Oswald Spengler), which is static, changeless. Agriculture-based mythologies confined time within a circle, an endless loop; the Greek ideal was incarnate and physical, frozen like a stone, while Christian eschatology is the fusion of real history with the totally metaphysical, climaxing in the apocalyptic termination of history, with time flowing into eternity. So, it seems, all three in their own way block and extinguish the flow of time. Neither Eurasian mythology, nor the Greeks’ perfect body, nor the Christian eternity of heavenly bliss permitted any movement or change. The Bergonians see instead a world of fire and water always in mix and motion, dissolving and boiling away old forms, and through a dialectical alchemy of light, warmth and nurturing moisture producing new forms, which unfold and growth, then mature, age and wither away, if not blown away or consumed by some other unfolding. (Bergonian languages have no verb “to be,” but there is a basic verb meaning “to become,” and another meaning “to age, wilt, sicken, shrink, disappear or dissolve.”) In this never-ending flux no one may prevail and no restful sojourn is allowed. There was nothing Aristotelian in this world-view—rather a kaleidoscope provided the perfect metaphor. (Medieval Bergonians, brilliant glass-workers, made a wide variety of kaleidoscopes.) The Modern ideal of evolution and progress promises endless change for the better-- the ancient Bergonian world-view had more in common with it than with the static ancient and Christian world-views. except the Bergonians laugh and jeer at the hope that all inevitable change is for the better, because it can be decidedly for the worse, and often is. That is why so many of the 64 Gods are so destructive and cruel. A miracle will occur in the act of transforming, and (according to orthodoxy) occurs when/as/because an entity reaches a purified state. The miraculous does not occur because of a directive of grace (or a manifestation of the holy), as when Christ transformed other entities (e.g. lepers, demon-seized swine, loaves and fishes). Instead the miraculous occurs as a feature, a side-effect, of attaining a new state-- and the holy man becomes transformed himself. There is rarely a subject and an object in a Bergonian miracle, but rather the subject transforming himself. The God Lacori sprung back to life, laughing and dancing with incredible power, and with purified emotion that no longer allowed lust for the maiden or hate for his brother. Ierecina, in his end moment of a purified life, transformed into the Silver Eagle. The fluttering of the eagle’s wings have been much compared to Lacori’s dance. Both events immediately followed miraculous transformation. In ritual, dancing signifies the post-transformation state, the advanced state of begin joined with the world. Bergonian Christians fixate on the dove appearing overhead when John baptized Jesus in the River Jordan, the event that began Jesus’ ministry. (“Immediately on coming up out of the water he saw the sky rent in two and the spirit descending on him like a dove.” Mark 1:10 “The Holy Spirit descended on him in visible form like a dove.” Luke 3:22) Here is a manifestation that preceded a human transformation—indeed some in Bergonia (the nativist Neo-Christians) see this baptism as the moment when Jesus transformed from pure human to part divinity. Perhaps his nature included no divinity until then, or perhaps his divine nature first awakened at that moment. Whatever Christ’s nature, divine or human, he as a missionary was not ready without infusion of the Spirit. Then (in Joseph Campbell "return of the hero" style), Christ “returned” to the world with great gifts for humankind. After Christ triumphed over death and ascended into Heaven, completing the mythic chore, the Holy Spirit returned again, this time at Passover, filling and motivating the Apostles. The Ierecina myth for the Bergonians however is more a matter of going on (or forward), than one of coming back. Ierecina did not come back, but went on to "the Place beyond the Abyss," or Star-City. The schema of the Ierecina myth allowed people to get away with claiming that they had experienced transformations of sometimes ridiculous proportions. Among the most outrageous pretenders we would surely rank the pretensions of the 17th century cult leader, Piatha Pantari. He proclaimed that his inward purity permitted him to tap into and absorb the “Christ-Spirit.” He put it many ways, often claiming that he called the Holy Spirit to him to anoint him with Christ’s Oil (and that the Angel washed his feet), and even sometimes saying that Christ made love to him. This insinuation that Christ had engaged in a sodomous union provoked the Catholic powers then prevailing in two thirds of Bergonia to track him down. At his inquisition, held in the French-controlled city of Cationi (on the western coast), he fully admitted all these things, except he insisted that Christ became manifest to him as a woman. The records of the Jesuit interrogation survive to us, and contain both his fiery language and the priests’ livid reactions. Priests and Piatha exchange accusations—each claim the other worked as witches in Satan’s employ. Piatha received the inevitable sentence, to die at the stake, but he managed an escape from the priests’ dungeon. No one ever learned how he did it, though the circumstances suggest sympathetic jailers. When he reappeared to his followers he claimed he had transformed into a bat and flew out a window. With this Piatha tried to claim Ierecina’s mantle, having already tried to poach Jesus' cloak. He subsequently imitated Ierecina in becoming a military and political leader and forming a regime in west-central Bergonia (the Ancita homeland, no less). Other miracles have occurred spontaneously in the field of nature. Plenty of these occur in the Ancient Mediterranean as well, especially in Roman Augury. In Roman skies comets presaged great events, and eagles flew over armies marching toward a destined victory. These miracles perhaps occur because of something akin to what Jung described as synchronicity—the coincidence of semantically related events. In the Bergonian world, nature (a god) would sometimes celebrate human events. The most arresting of these attended the death of Bergonia’s other great religious figure, Krathnami. When he died he died alone in his hut, and because he had no visitors at the time no one knew of his death until the next visitors came. These were the peasants in the nearby village who knew him well. Then came three Hiestat priests who had come to see him, followed by three Shufrantei priests who had refused to walk with them. 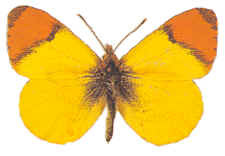 The six priests paused in wonder as they approached Krathnami’s hut, because the air was thick with yellow and orange butterflies (Anthrocarus Varscane, as in Varsca) so thick that one had trouble seeing to walk. Likewise, the tales say that in 1545 when the Spanish conquistadors burned the library at Lepitar (destroying 5,847,133 volumes according to meticulous Bergonian record-keeping), the birds ceased singing and for days afterwards stayed quiet. (The local atrei got some satisfaction out of tracking down the Spanish party and stealing their horses.) The tales also say that in 616 AD, when the armies of the malevolent warlord Susrieca invaded the land of Pusuraino in central upland Bergonia (now Sefaieri), the counterattacking defenders raised up a swarm of angry crickets ahead of them so dense that it blinded Susrieca's scouts and soldiers. The tales relate how the Shufrantei saint Polislacin attained the far-reaching vision in 230 AD, a year of punishing drought. At the moment of his attainment, gray clouds suddenly formed over the parched land and released wonderfully heavy showers that brought all the people out of their homes to dance. The medieval texts overflow with descriptions of other such miracles where nature celebrates or compliments a human act of righteousness or holy attainment. In these tales, butterflies abound, lightning crashes on the horizon, flower bloom and animals come out of hiding. Parenthetically, one cannot help but see that most of the claimed miracles involve animals. But often too nature acted as a counterbalance, a reaction against egregious human activity—largely in a way that men could call punishing, by causing destruction. The ancient nation of Pueoi provides the most painfully obvious example of this. Pueoi began as one small settlement of refugees on Bergonia’s southern coast, founded in 600, and grew to a powerful, arrogant nation (with perhaps as many as 4 million people) by 888 AD—when a hurricane of epochal proportions struck Bergonia’s southern coast. Even among the stoic Bergonians, who tend to see the world as a capricious, unpredictable place of danger and pain, some people insist on seeing the world as a just place. Almost immediately after his death people began saying that Prakai Eleusi, the conqueror who murdered perhaps a million people, developed some awful skin disease (pustules, painful boils and dire itching) in his last years, allowing him no peace and robbing him of sleep—even though the very excellent contemporary accounts of his life mention only a temporary skin disorder (probably eczema) from which he enjoyed a complete recovery. In many paintings, Prakai was portrayed with rashes and boils on his face. In the same vein, the Miradi traditions that fuel much of Bergonia’s current environmentalism easily permit the notion that the divinity in nature will get even with mankind for the industrial & developmental excesses of capitalism (and communism). In our day, only the most traditional Miradi believers still believe in explicit miracles. The skeptics and modernists challenge the traditionalists by asking, "Why are there no miracles anymore?" The traditionalists answer, "Because people do nothing anymore to deserve them." The ecologists can at least logically claim that a "negative" miracle of epic proportions is imminent, and everyone in Bergonia whether Miradi, socialist or ecologist realizes the link between the miracle of transformation and the bold muscular assertion of will, with knowledge that they do have the miraculous conscious power to transform their own lives, as well as their happy, isolated nation.